Hair Science Centre is a chain of hair loss treatment clinics established by Dr Naveen Kumar Dahiya to provide Quality treatment for hair loss at Genuine Prices. We opened our first Hair Transplant Centre in Dwarka, Delhi. From there on we have opened four more hair transplant centres in Delhi NCR, Gurgaon and Jaipur. 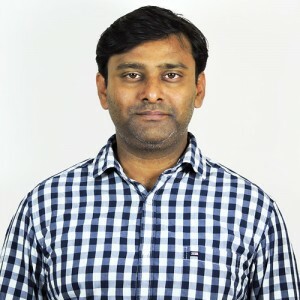 Dr Naveen Dahiya (Consultant Plastic Surgery, Jaipur Golden Hospital, Delhi) is a well known Hair Transplant specialist with rich experience in handling numerous patients with a variety of hair and aesthetic-cosmetic problems. He has worked in prestigious institutes like All India Institute of Medical Sciences (AIIMS). 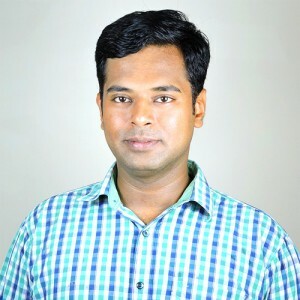 He acquired his degree in Plastic Surgery from the prestigious Army Hospital Research & Referral, Delhi which has got the state of art Plastic Surgery Department that is unmatched even for private hospitals in India. 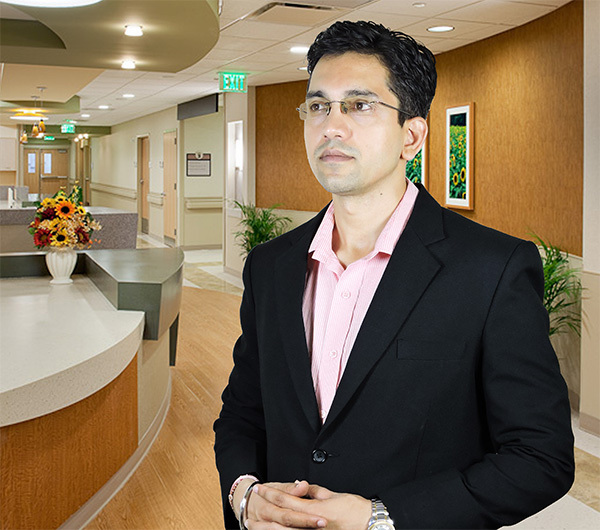 The number and quality of aesthetic and cosmetic surgery procedures performed at this center are way above those done in any other medical college all over India. Here the elite class of clients belonging to Army, AirForce and Navy officers and their families are catered to. Some of them are doing very well in Bollywood and Modelling industry. This department has given aesthetic cosmetic services to many Miss India contestants and some of them have ended up winning the beauty pageant. In close collaboration with the Department of Dermatology in Base Hospital Delhi Cantonment, he performed various dermatological procedures like chemical peels, dermaroller, fillers, Botox and lasers. He also started and established Hair Transplantation, Liposuction, Fat Grafting and Vitiligo Surgery in the department of dermatology, Base Hospital. He has given lectures and presented papers at many national conferences. He has been an outstanding surgeon and academician throughout his career. He has over 115 Hair Transplants to his credit with excellent results which is why he promises complete cash back on Hair Transplantation Surgeries. He strongly believes that in cosmetic surgeries, patient satisfaction and safety are the most important parameters for treatment efficacy. He believes that the most important factors for patient satisfaction in any hair transplant surgery are the creation of natural hair line and maximum hair density. Dr. Dharma Krishna Raja is a well trained hair restoration doctor of Delhi. He has got training of dermatology, Hair Transplantation and Plastic Surgery. He had privilege to work and train with different specialities involved in cosmetic surgery. He has special interest and skills in non-surgical management of Hairloss. He has brought the knowledge of hundreds of remedies of proven efficacy since thousands of years and which are extremely popular in South India. He has also assisted in hundreds of hair restoration surgeries. He has been associated with us since more than 2 years and has acquired good surgical skills and hair follicle implantation is his area of mastery. This requires a lot of patience and hard work. Dr. Chandan Sinha is regarded amongst the skilled hair restoration doctors of Delhi. He has got extensive training in Hair Transplantation and Plastic Surgery. He had privilege to work and train with best in the field Plastic Surgeons. He has performed hundreds of hair restoration surgeries. He has perfected the art of FUE and has extremely low transaction rates while maintaining high speed and accuracy during the procedure. 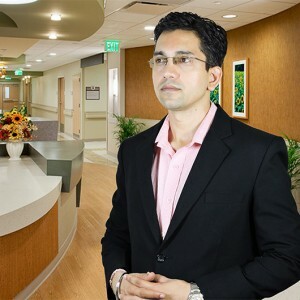 Dr. Sinha is highly passionate about his work and believes in giving his best to each of his surgery. Worked with various hair transplant surgeons all over Delhi in both government medical colleges and private practitioners. What I have found out and sadly so that in government hospitals patients are not treated well and the doctors learn hair transplant on them without any proper person to guide them and show them the right technique. Patients are made to wait for 2-3 months for getting their hair transplant done. The working environment is unhygienic as operation theater are not given for hair transplantation in the government hospitals. The usual story is that there are on an average 7-8 doctors learning hair transplant on a single patient turn by turn. To transplant few hundred hairs it takes them almost 8-10 hours. The results are more frustrating than the whole experience of hair transplantation. Of the few hundred hair only 10 or 20 hair finally make it to come out of the scalp after 6 months and no one ready to take the ownership of the procedure. The donor area for hair transplant in the process gets completely mutilated making further hair transplant extremely difficult. Over all the whole experience is devastating for the psyche of the patients. To get it done for free the patients end up getting scarred for their whole life. One must have seen advertisements in newspapers and on internet about the cheapest hair transplants performed by various trichologists. First of all there is no such degree/diploma or any university or institute which runs any certification course in hair transplantation. This whole concept is fraud. As per MCI guidelines only Plastic Surgeons are trained and allowed to do hair transplantation. Dermatologists can also do hair transplant after receiving training from a plastic surgery center. A plastic surgeon or a skin specialist can employ properly trained MBBS doctors under them and can allow them to assist them during hair transplantation but the hair transplantation cannot be left for them to perform without supervision and guidance. Rest all BAMS, BHMS or the likes of Dr Batra are doing unethical practice and causing permanent harm to hundreds and thousands of patients every year. Now there are some doctors who claim to transplant 5000 hair grafts @ 20,000 or 30,000 in a day. This is false advertising and this feat in next to impossible and financially non-viable for the person performing it. But then why are they doing it so cheap? They are actually making fool of the common man. What they are doing is taking money from you and then they transplant some 100-200 hair follicles with their roots and about the same number of hairs with no clue of their roots. What they are doing is that they are practicing on you and not just for free but are also charging you many thousand bugs for being their guinea pigs. In the process thousands of hair follicles are damaged and thousands of other find refuge in their drains. The scalp gets permanently damaged and then you spend lakhs of rupees to get corrective procedures which can never restore the original state of your scalp. Many choose to bear this for the rest of their lives. Sometimes these patients become laughing stock of other people and at other times they get sympathy of the people around them. On the other extreme of the spectrum there are those 5 star rated centers which charge you lakhs of rupees for getting hair transplant done. Some are having many fancy machines of few lakhs to many crores of pricing tag on them. They have on them the financial burden of many many crores of properties and machinery. They have to make payments in lakhs per months to their “client managers” and marketing team. Some have financial contracts with big corporate houses and have to fend them. Who is going to pay for all this? It is the client, the person who wishes to get rid of their bald look who is going to pay for all their bills. What is you are paying to them for getting hair transplantation is not more than 20% of your total bill. With the rest of your money you are paying their property bills, in-house maintenance charges, paying to their “client managers” who lure you into all this and some other charges which are not to be mentioned. The salary of the “client managers” runs into lakhs and they pay few thousand bugs to the doctors whom they employ to assist them in hair transplant. What can be the reason for this? The removal of hair by these machines in no way can be called “feather touch”. Rather it is too rough a procedure for hair follicles to bear. Machines making hundreds of revolutions per second produce lot of heat locally due to friction and this heat can damage the delicate hair follicles. Now the “no touch technique” uses suction to extract the hair follicles from the scalp. True there is no human touch involved in the extraction but one can see the hair follicle striking their hard suction tubes hundreds of times tumbling here and there before reaching their destination in their container filled with fluid. With every strike the follicular cells are damaged and there is shedding of stem cells each time. What about the sterility of these tubes? Do these tubes cause inflammatory or immunological reactions against the hair follicles once they get transplanted? If there is no reaction then can a portion of these tubes be implanted into human body? The hair follicles then get collected in the container which is part of the machine. Now each time a follicle is extracted from the scalp, the hair follicles in that container dance with the whirlpool movement of the fluid in the container. And the stem cells are getting shed continuously and also there is swelling of the hair follicle cells. Imagine our fingers dipped in water for 20 minutes. What happens to our skin? How long these hair follicles have to stay in that solution? For the whole duration of hair follicle extraction which can be around 2 hours or more. What happens to the viablility of these hair follicles? Now comes the most laughable part. Which machines are used to implant the hair follicles in the donor area? Till this date THERE IS NO MACHINE OR ROBOT WHICH CAN IMPLANT THE HAIR FOLLICLES IN DONOR AREAS. People doing hair transplantation using all sort of fancy machines or robots end up implanting the hair follicles using forceps or plungers. So why so much of “untouchablility” for human touch during the graft harvesting process? Whom are they trying to fool? Why will you pay lakhs of your hard earned money for their fancy technology which is still in infancy? One can spend this money in charity for the millions of deprived children of India. Rather than inflating the bank balance of these million dollar foreign companies one can spend money on education of the poor and deprived children of our country.